Monk fans surely noticed the paralellisms between Adrian Monk and Sherlock Holmes. This is no coincidence, because the creators of the series never denied that they modelled the eccentric Adrian after such famous sleuths like Columbo, Hercule Poirot and the greatest detective of the world, Sherlock Holmes. The latter inspired the character the most. We can say that Adrian Monk is the modern day caricature of Sherlock. Both Holmes and Monk have one secure point in their lives: their profession. It is the only thing that gives them success, where they can use their extraordinary abilities and where others have to acknowledge their talent. In the stories of Conan Doyle Sherlock Holmes is the first consulting detective who helps the work of the police, but he is an independent consultant who does not get payment from Scotland Yard. Adrian Monk (Tony Shalhoub) formerly belonged to the San Francisco Police Department, and he is still necessary to solve crimes. For that reason he works for them as an official consultant. BBC’s Sherlock (Benedict Cumberbatch) is also a consulting detective in modern-day London. Elementary’s Holmes (Jonny Lee Miller) has some characteristics that are typical of Monk. Some workaholics pay close attention to their looks. Sherlock Holmes is an elegant British gentleman, who is always perfectly dressed – aside from the occasions when he has to wear disguise. Monk is also rigorous, though he dresses much more languidly, he has several pieces of his favourite clothes. In the flat of the Baker Street genius you never find things in order, because he keeps in mind where he puts his things and he can distinguish his papers according to the amount of dust that covers them. Contrarily, Monk is awkwardly sensible to cleanness or to the order of every object in his home. Holmes is fond of tidiness – Watson mentions it several times, for example in The Hound of the Baskervilles. In case of the San Francisco consultant this characteristic morphed into mysophobia, the fear of germs, contamination or dirt. His attention is easily diverted from the investigation by objects that have nothing to do with it. But Adrian still hopes to go back to the police, or even have his own private detective office with an assistant. Conan Doyle’s hero also loves to solve mysteries so much that he creates his own profession. Ambrose is a huge fan of a Star Trek parody, so he wrote a book about Dratch language. It is well-known that the figure of Sherlock Holmes appears in the character of Data in the original Star Trek series. The smarter brothers are outstanding in their chosen profession. As detectives, they would be even better than Sherlock and Adrian, but they lead much more withdrawn lives. While Mycroft can be seen in some places outside his home, Ambrose is unable to go outside because of his agoraphobia. Though the sleuth of Baker Street, just as his American colleague, is a loner, there are people in their lives whom they can rely on. For the British detective this person is the kind gentleman and biographer, dr. Watson, while Monk has his psychiatrists, dr. Charles Kroger and dr. Neven Bell, and his assistants-and-nurses, Natalie Teeger and Sharona Fleming. Adrian learns lots of things from the women, and he has good memories of his deceased wife, Trudy. There was one woman who influenced the life of Holmes: Irene Adler (And in CBS Elementary dr. Watson is portrayed by a woman). 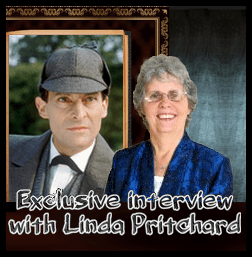 Both detectives meet many interesting persons and their adventures are very instructive. Sherlock Holmes lived in a tough, brutal jungle in the Victorian era, but he firmly believed that everything happens with a reason. He did not uncover all the mysteries of the world, yet he realized many things and this way the world became much more understandable for him. He took the time to observe things patiently and he deduced after learning and checking the facts. Monk does not bother himself with such things, he rather losts in his memories and creates a convenient zone for himself. Nothing has a place within the zone what does not meet his requirements, and he classifies these not-fitting things as bad, disgusting, evil and awful. Inside his soul Adrian is a tremulous young boy, while Holmes is a grown-up adult. Sherlock takes the responsibility for his deeds and actions, he is truthful and self-consistent. He is frank and only uses tricks when they are essential for a successful investigation. The same cannot be told about Adrian. He even lies sometimes, when he thinks it is needed to protect himself. For him the world is a dangerous jungle and living is suffering. Holmes dares to learn new things and he handles his fears much better, and as a result he feels at home in the hazardous environment, he knows his way around in it. While Monk suffers in the jungle that surrounds him, Sherlock lives an adventurous life. A big difference is that Conan Doyle’s hero can usually get over his past offences, while the San Francisco consultant carries the bad memories and the reminiscence keeps these alive and hurts his heart again and again. Sherlock knows that what he does is important and he is proud of the fact that he is the only consulting detective in the world. He is aware of the importance of progress, so he continuously tries to work even better, but at the same time he can appreciate what he already accomplished in life. Adrian’s pleasant experiences last only for a few seconds, because distress almost immediately appears in his mind. The two men are indifferent to the opinion of others. Adrian is occupied by his phobias and he tries to avoid the awful problems with shouting and strange movements – that is why many people think he is an idiot. Holmes, in turn, knows himself and the world very well. He is aware of the fact that he is on the right track and he wants to meet the logical requirements he set for himself. Sherlock knows that his system is incomprehensible for most people, because they are lead by their instincts and fears instead of rational thoughts. Monk feels he is more miserable than anybody else, and he wants to be like ordinary people, whilst he wants to be different as well because he does not understand people. To tell the truth, his self-concept is incorrect – it is a huge difference between him and Sherlock. Adrian is much more driven by his instincts than average people, he feels he is a victim of life. He does not value things and he cannot think of his positive experiences totally without stress, so he does not realize that using his exceptional abilities he is able to brilliantly solve the most complex mysteries. Whether we know our way around in life like Sherlock or we are in terror day after day, there is always a jungle out there around us. In a longer article (You can read here: I believe in Sherlock Holmes) we deal with the fact that the British sleuth gives hope to countless people, and it is important to mention that this goes for Monk as well. It encourages many people that even such a troubled character can survive somehow day after day. We all live in an enormous jungle, and we sincerely wish all our readers to feel all right in it. Feel yourselves at home in it and find a valuable profession just like Sherlock Holmes!